The 40 and 41 always have had rather strange allocations, at present they have a mixture of really old SLFs and the high-profile 08 Enviro 200s! (though there now is normally at least one SPD on them, and also normally one B7 Decker Mon-Fri on one of the 40/41/44/44A). 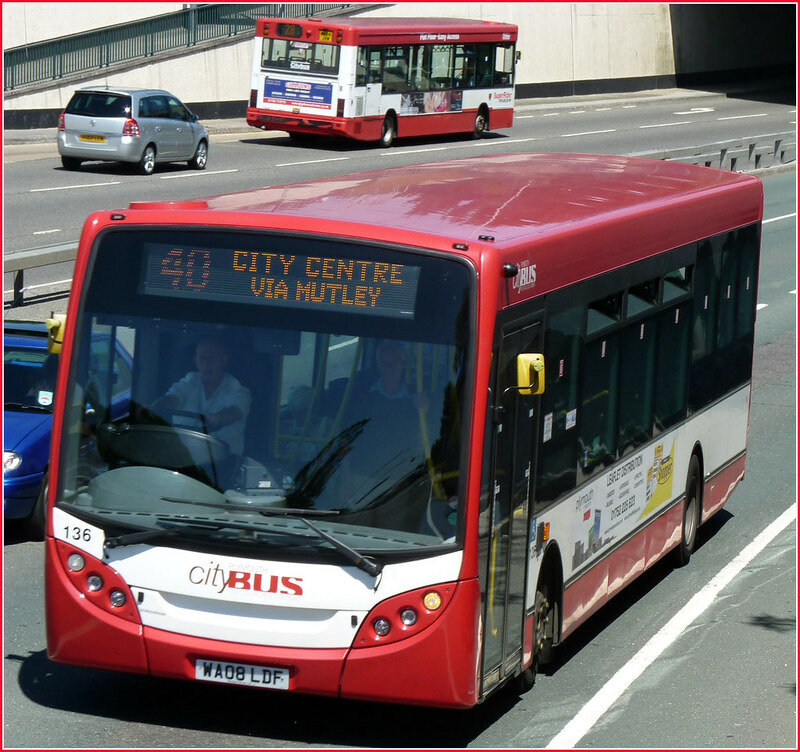 Before the B7RLEs and Plaxton B7 Deckers came they had allocated the very oldest and very newest buses, those being the 08 Enviros and Step-Darts. Most of the duties of the 40/41 start out on the 44/44A and vice versa, then if for most of the day they're on the 40 it'll normally do a trip or two on the 41, or vice versa, same for the 44. At least one duty of the 41 does some early trips on the 61. One thing I've always found strange is the 1456 40 from Southway Ranco changes to the 1540 16 - never understood this! Again at around 4-5pm ish some City Centre 50s change to a 16, again never really understood why that was, maybe to do with Drivers Hours regulations.